Brockenhurst College hospitality student Chloe Holliday won the student bartender category in the national heat of the Calvados Nouvelle Vogue International Trophies recently. 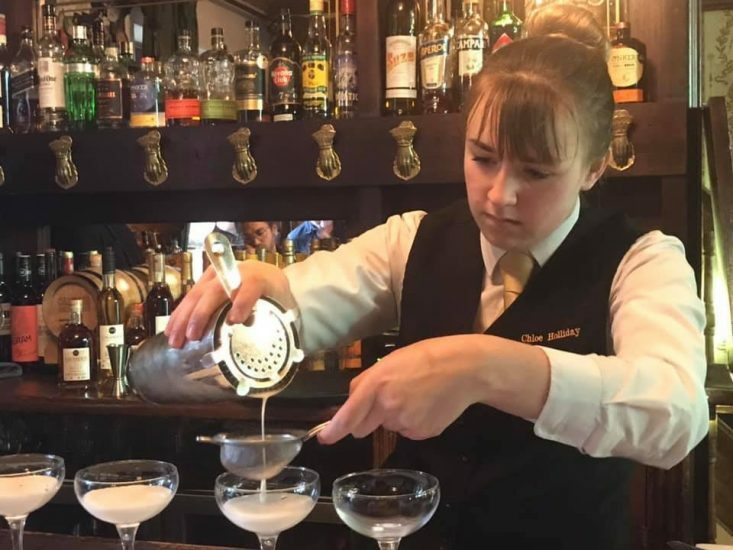 Eighteen-year-old Chloe will now travel to the Calvados region of France, where she will be sponsored by the UK Bartenders Guild to represent the UK in the international finals on March 25th. Ariadna Gutierrez, Eloise Perrett and Jackson Merrin, who also study Hospitality courses at Brock, were runners-up in the heat, which was held in London last month. This saw students and professional bartenders create cocktails in line with this year’s theme ‘peace of the world’ before presenting them to judges. The judges’ scores were based not only on the taste of the cocktail but also on its aroma and appearance. 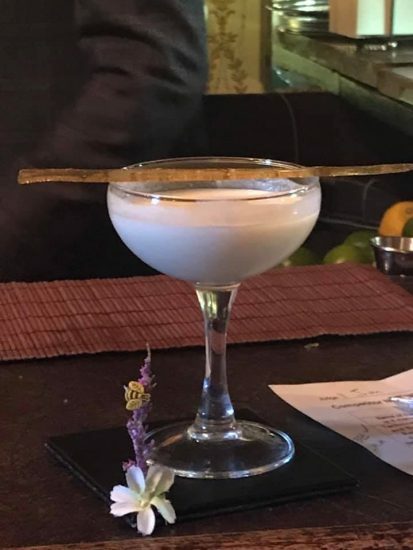 Chloe’s winning cocktail ‘Bee Calm’ used Calvados infused with chamomile and lavender tea, natural acacia honey, elderflower liqueur and cream, garnished with a lavender honey sugar shard. Her creation won eighth place overall, beating several professional bartenders from across the region. Chloe explained: “I chose to focus on flavours associated with inner peace. We also needed to include something from our home country, so I went with an English country garden theme. Hospitality Lecturer Cathy MacArthur said: “I’m really proud of the students and how well they performed in the professional environment. “This is a great achievement for Chloe, and we wish her all the best for the finals in France,” she added. Chloe hopes to become a restaurant manager and has been offered a full-time position at The Pig restaurant in Brockenhurst for when she finishes college.